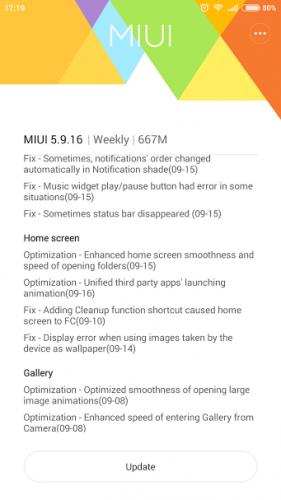 Xiaomi is rolling out the MIUI 7 Global Beta ROM 5.9.16 update for its devices. And as usual we have captured the OTA update URL via logcat, after receiving a notification for the update. 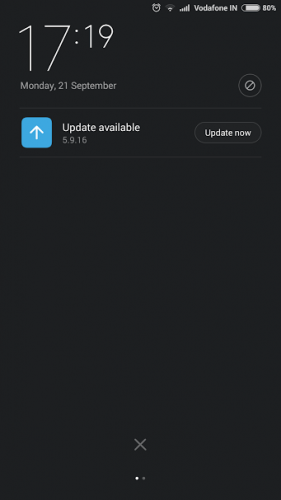 Before you get excited, allow me to say it is still Android KitKat, as the company seems to be reserving the Lollipop update only for its 2015 devices, which is a very sad thing to say at the very least. Once you have downloaded the firmware zip file, open the updater app > select update package to install and reboot the device.